The WHAT: This is an intensive 9-day workshop where you are fully immersed in Guatemalan culture and work shoulder to shoulder with the Gods Child Project - a top non-governmental aid organization deeply involved with social and human rights issues. Additional to the work we do with the Gods Child Project, we also have a great working relationship with the Bomberos of Guatemala City - these are the ambulance drivers who are called for any and all occasion they are needed. This is usually an overnight (of no sleep) in the firehouse in Guatemala City and it is an amazing opportunity for image-making. There are many more details to give you but the important thing to know is once in Antigua on Saturday your basic needs - breakfast, dinners, and a clean and secure place to sleep - are handled. All you need to concern yourself with is the day-to-day immersion in all the amazing photography opportunities available here. Each evening you will return to your host family for dinner, back up your files and do a soft edit. After dinner we will be meeting together as a group to run a critique on the day's work. The WHEN: The dates for the workshop begin Thursday evening June16th and run thru Friday night June 24th. Beginning on Thursday night June, 16 all of your accommodations are taken care of through Friday night June, 24. You will arrive in Guatemala City where we will host your stay at the Hotel Colonial for Thursday and Friday nights. 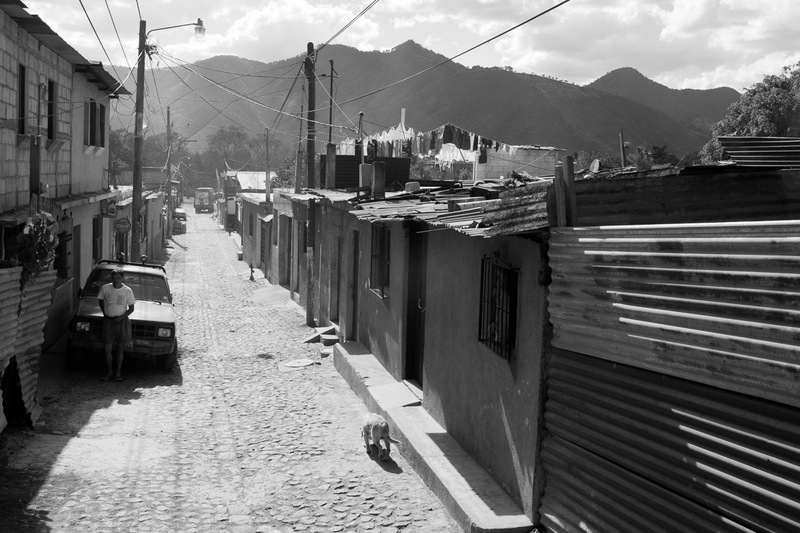 On Saturday morning the aid organization will pick us up and take us to La Antigua where we will be staying with host families who provide your housing, breakfast and dinners on all days (except Sunday). WHAT YOU GET: You get two nights at the Hotel Colonial in Guatemala City (June 16 and 17 - meals on these days are not provided), transportation to Antigua on Saturday. Once in Antigua your housing from Saturday, June 18th through Friday night June 24th with breakfasts and dinners for these days (except Sunday) are covered. Transportation from Antigua to the Guatemala City airport for your return flight is covered. Each day you will be transported to any one of the God's Child Project worksites or facilities and brought back in the evening. Most days you will be meeting after dinner for a review of the day's work and critique - this is an important part of the whole experience. PRICE: The cost is only $1,995. As in the past this trip will fill quickly. A $500. deposit will hold your spot. Don't delay if you want to be on this trip. This rate does not include airfare, but the good news is airfares to Guatemala City are reasonable if bought in advance. These are long and fabulously full days that will forward your work in ways you cannot imagine. Our invitation is simple...join us! We are available to answer questions so call or e-mail.